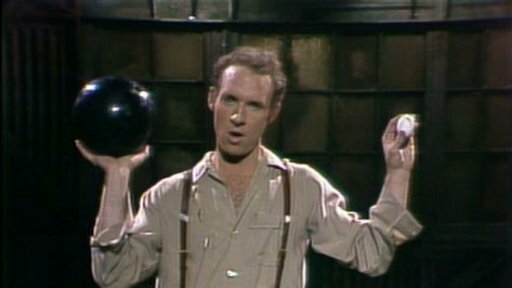 At some point, most beginning jugglers try juggling raw eggs. They are often the first fragile objects jugglers try. I used to juggle raw eggs over a volunteer from the audience in my shows. EJuggle editor Scott Seltzer has tested the limits of toss juggling with raw eggs, as you can see in the following video. There’s even a popular world record category for 5 raw egg endurance. Below is the current record, as of the time of this writing. There are other juggling tricks that can be done with eggs, so let’s take a look at some of these. The famed gentleman juggler Kara (Michael Steiner) performed a routine with a raw egg, plate and egg cup. He caught the egg in the cup, then threw the egg high in the air and caught it on the china plate. He then threw the egg up again, but this time his assistant got in the way and the egg broke on his head for a laugh. Many jugglers, from Cinquevalli to Michael Davis, have juggled raw eggs along with heavy objects such as cannon balls or bowling balls. I was a special guest at the CATCH Juggling Festival in the UK in July of 2018. While there, I took a workshop taught by Kevin “Topper” Martin on the very old trick of balancing an egg on a straw, which is then balanced on the juggler’s nose. Below is a video of me showing how this simple but effective trick is done. There are more complicated versions of this trick that I assume use some sort of trickery, such as small white rubber rings or other gimmick. The first trick can be seen in the next photo of Anders, who performed the following balance and then broke the two eggs to show that they were raw. An even more amazing balance is performed by Yang Xiao Di. 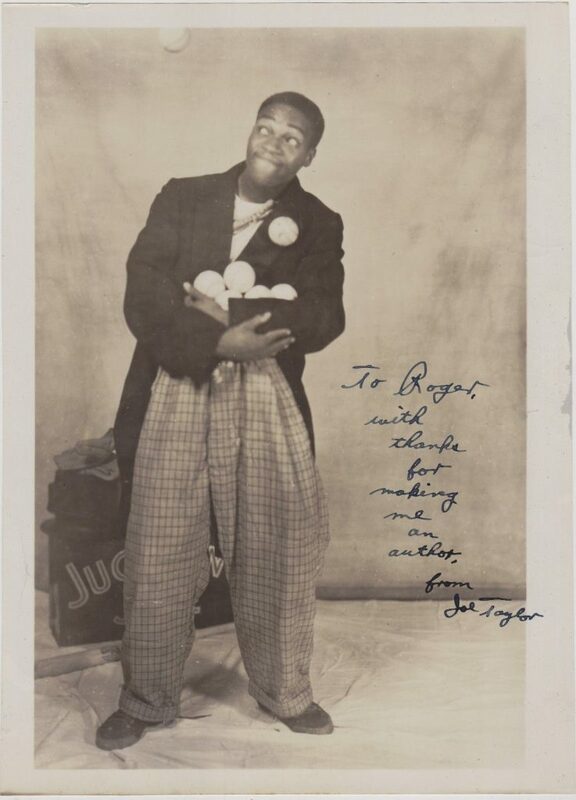 Juggling Joe Taylor performed the amazing trick of doing ear to ear head rolls with a raw egg. Below is a wonderful old trick performed by Bill Talent with a raw egg. Not all tricks involve raw eggs. An old vaudeville trick is to spin an hard boiled egg on a tray. Below are instructions for this trick, followed by a video of Olivier Caignart performing the skill. Olivier also does a trick involving spinning a section of a hard boiled egg around the rim of a plate, as you can see below. Another type of old school trick is what I would call the knock away egg drop trick. 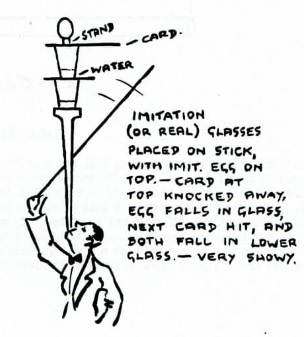 The following illustration by Joe Marsh and videos show several versions of this trick. Click here to see the Raspyni Brothers performing the above trick. 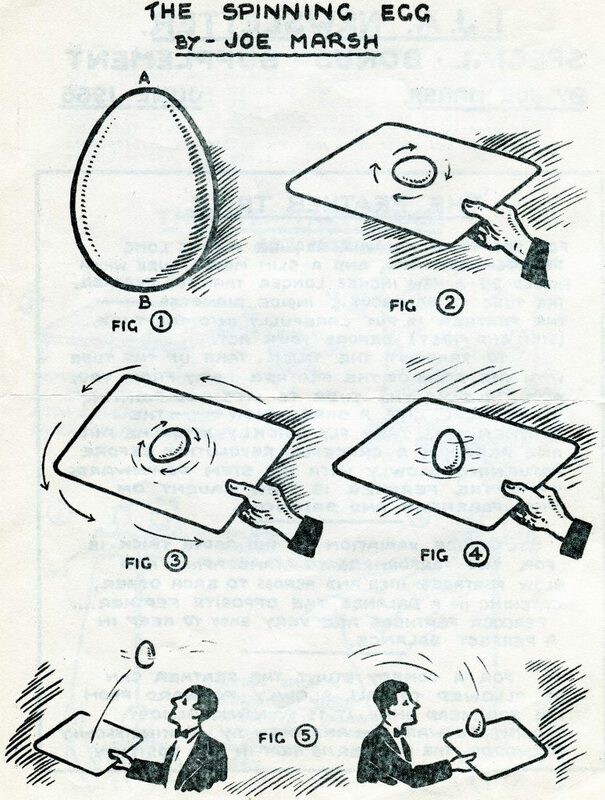 Below is a very easy way to perform the knock away egg drop trick. 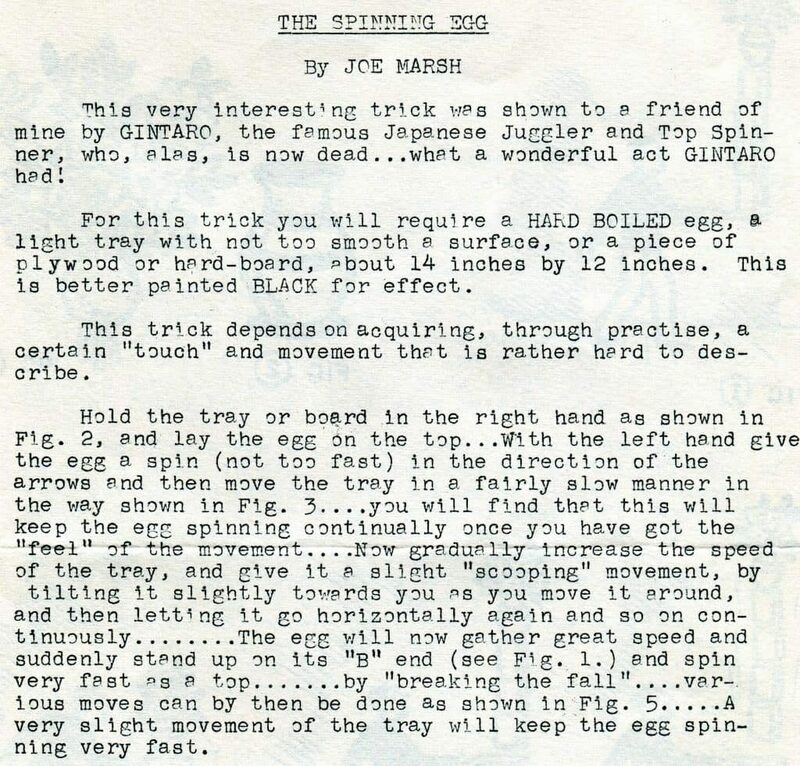 I’m sure there are other tricks using eggs that jugglers have performed, but the ones I’ve discussed here are some of the more popular ones. I can attest that audiences love when a juggler uses real eggs. Why not try some of the tricks you’ve read about here and see what you can learn.